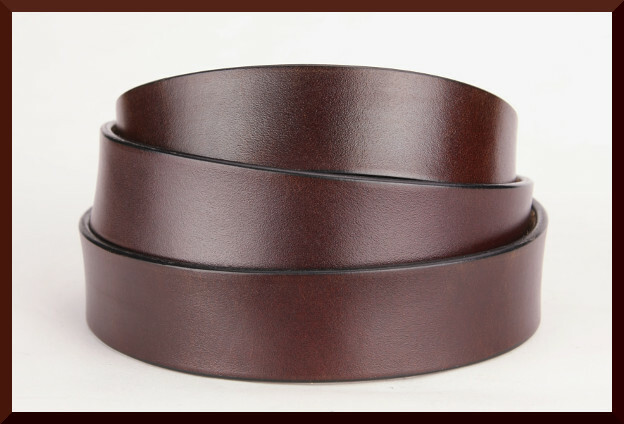 Our plain belt straps are great for dress or casual wear. 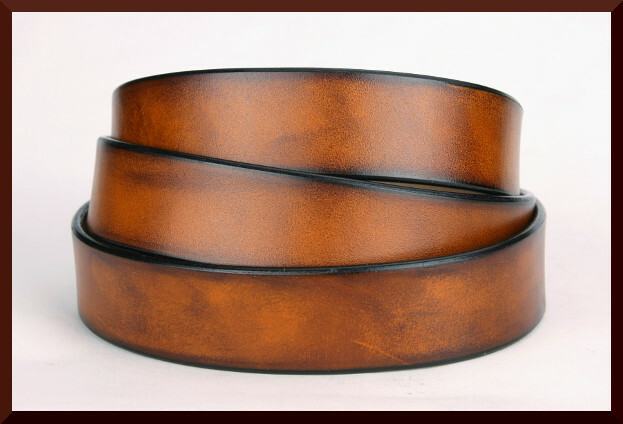 We cut them from the finest vegetable-tanned leather, hand dye, and meticulously hand-burnish them. We put snaps on the turn so you can change buckles anytime you like. We warantee our belts to last years and years. Our standard sizing fits waist sizes up to 52". Contact us about larger sizes. 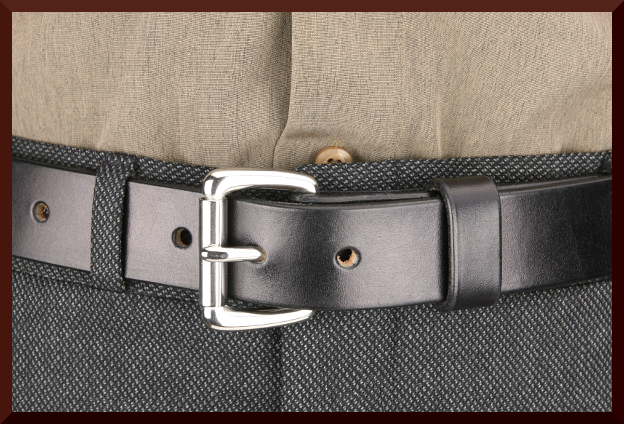 To get the best fit on your belt, please use our sizing guide and indicate in the comments which method you measured by. Please disregard the size marked on any existing belt you have, it seems every company uses a different standard to size their belts and we don't want to confuse the issue. 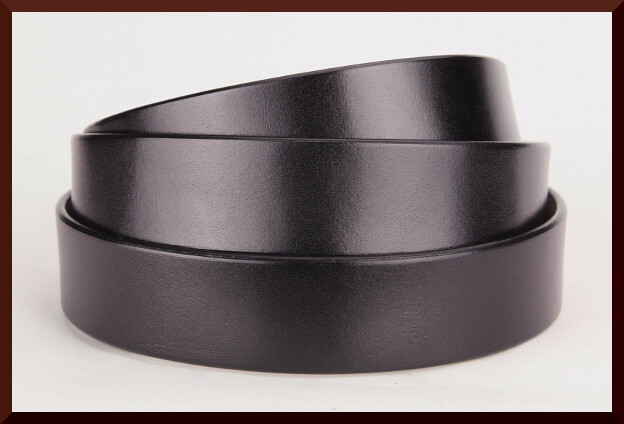 If you are ordering this strap to go with a buckle you already have, send us a photo of the back of the buckle and make sure to measure the inside width of the buckle to be sure you are ordering the correct width.